DC fans also known as DC Brushless Fans are basically coolingfans engineered to meet requirements such as higher air flows at high static pressures. 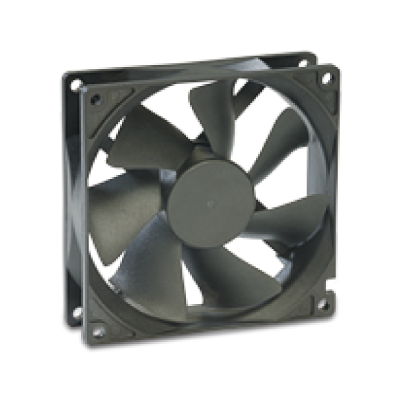 Hicool manufactures Brushless DC fans in varied sizes ranging from 60 mm to 280 mm. These fans are available in plastic blade as well as metal blade. Plastic blade DC fans are generally of sizes 60mm, 80mm, 92mm, 120mm and 172mm and metal blade DC fans are of sizes 225mm and 280mm. 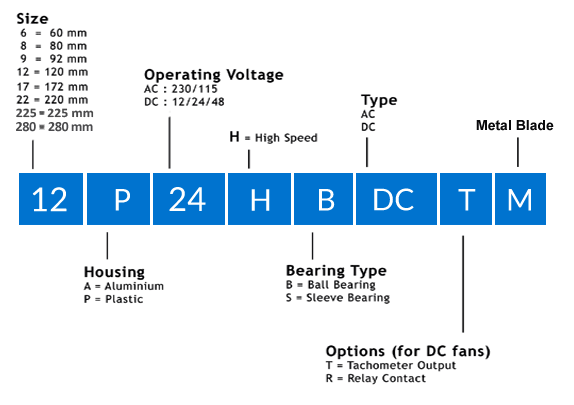 Hicool is a manufacturer of 12v DC fans, 24v DC fans, 48v DC fans and non standard voltages upon request. These DC Brushless Fans are available in both low speed as well as high speed depending upon the application. Hicool's extremely light weight, plastic brushless fans have been designed meticulously so as to provide an additional 30% increase in air flow. These DC Compact Fans have special features like Fan Failure Alarm and Alarm Signal For Speed Monitoring. Amongst other advantages these brushless fans have low power consumption, low noise and a vast life span. Hicool Compact DC fans are endowed with excellent safety features meeting UL, CE, RoHS, CSA, IEC standards. DC Cooling fans are used to maintain a desired temperature within electrical devices in order to ensure efficiency and longevity of that device. 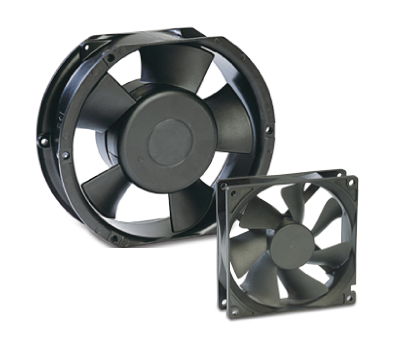 DC Cooling fans can be used in a large number of applications that require cooling along with low noise and low voltage consumption.